Founded in 1989, Flemmings has developed into a dynamic and enterprising multi-disciplinary business advisory group. By listening to and understanding the needs of our clients, we continually strive to research and present innovative opportunities to help enhance their wealth. 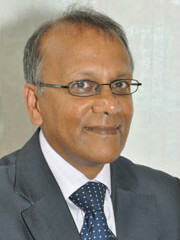 Hitesh qualified as a Chartered Accountant with Simmonds Gainsford in 1986. After qualifying, Hitesh joined Smith and Williamson where he gained extensive experience in Corporate Finance. Hitesh was able to enhance this experience further at BDO Binder Hamlyn, where he specialised in Personal Financial Planning. 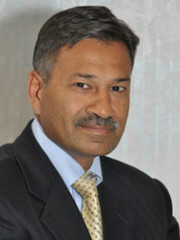 Hitesh is the co-founding Partner of Flemmings, and manages Flemmings, overseeing its strategic growth & development. 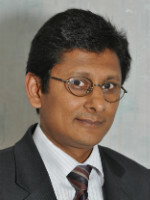 After graduating from Cambridge University in 1983, Sailesh joined KPMG in London, qualifying as a Chartered Accountant in 1986 and continued his post qualification training in audit, accounting and tax with KPMG. 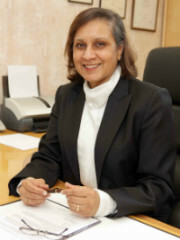 Sailesh is the other co-founding Partner of Flemmings, and is currently the Audit, Accounting and Tax Partner. After graduating from Warwick University, Sumi qualified with BDO Binder Hamlyn as a Chartered Accountant. After gaining a few years of experience in commerce, she joined Flemmings as a Partner in 1999 when the firm was on the springboard of an extensive expansion. Sumi is currently the Finance, IT, HR and Training Partner. Having joined Flemmings as a qualified ACCA member in 2000, Hanish has built a wealth of expertise in a variety of business sectors. The training, supervision and guidance he provides to his team has meant that our clients receive a highly personalised and value added service, which goes beyond simply filing VAT returns and statutory accounts. We recognise that our clients' business aspirations are inextricably linked with their personal aspirations. We recognise that they devote a lot of effort in their business to provide future personal financial security for themselves and their dependents. With this in mind we always strive to ensure that whatever business advice we give to our client, it is complimentary to their personal financial well being. Our firm services high net worth professionals and family owned businesses in various industry sectors including Doctors, Dentists, Pharmacists, Opticians, Architects, Barristers, Lawyers and IT consultants. We also provide advisory services for businesses such as nursing and care homes, property companies, hotels, manufacturers and retailers. Our team thrives on new challenges and is well equipped to look at new sectors. Our team of over fifty staff, which is selected against a strict set of criteria, are based in the UK and in Chennai, India. As an authorised training organisation by the ICAEW, ACCA as well as CIMA, we ensure that our staff receive the best training and experience to provide a high quality service to our clients.